Here's an intriguing piece. It's what's known as an engineering pilot, a packaged sample of a toy, assembled as the production version was planned to be, and serving as a test of sorts of the process used to crank out the finished products. 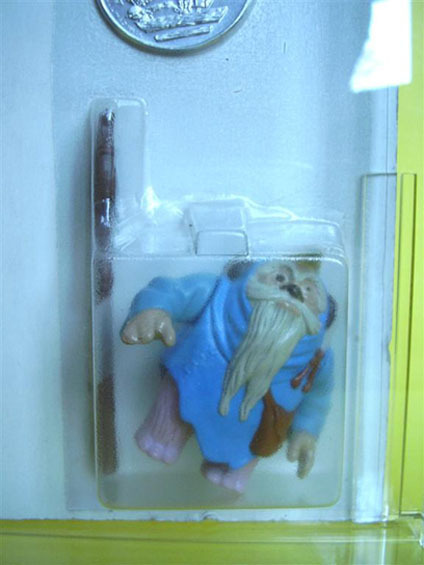 This Logray figure has been mounted on a generic-looking white backer card, probably in order to determine how it would look within its bubble. Speaking of the bubble, the one you see here differs from the production version in several ways. 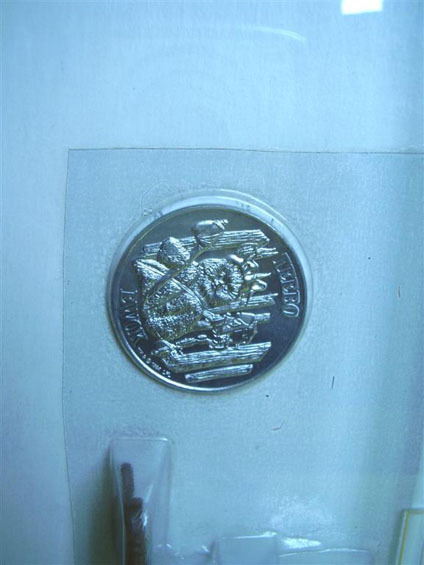 For example, its corners are square instead of rounded, it's much larger in the coin area, and the top of the figure area is flat rather than beveled. By now you've probably noticed that the coin used here is not the standard Ewoks Logray one but the Greedo coin from the Power of the Force line. 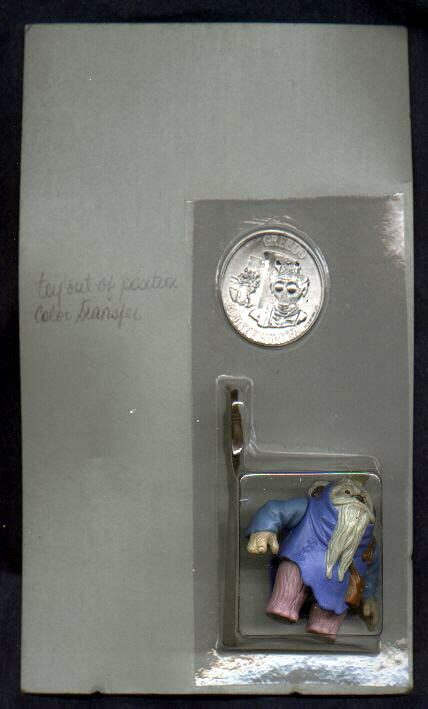 The note to the left of the figure area reads "toy out of position, color transfer." I'm not sure what the "color transfer" bit means, but you can probably see that the figure is slightly cocked inside of its bubble. The second piece is another carded engineering pilot, which appears to be a later piece than the first one shown. The bubble mimics the production style more closely, as shown in this close-up. 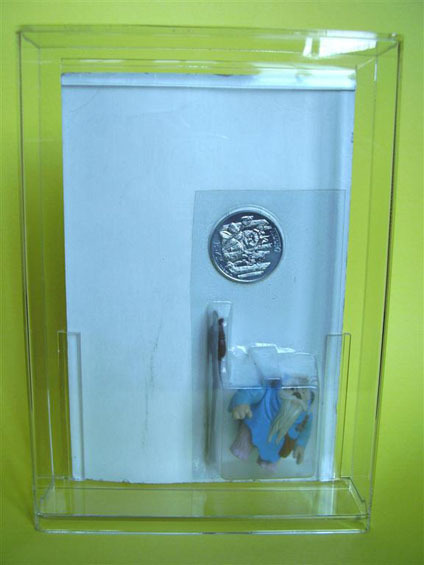 While the first carded sample features a Greedo coin, this example sports a POTF Teebo coin.